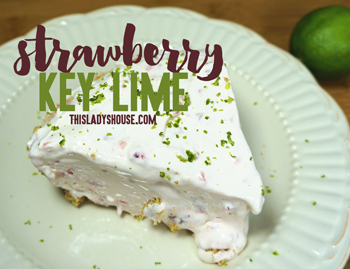 In a medium bowl mix together cool whip, sweetened condensed milk, and lime juice. Gently fold in strawberries. Pour cool whip mixture into pie crust, sprinkle with lime zest. Freeze for 30 minutes and serve. This entry was posted in Recipe and tagged Dessert.